I’ve been a Leeds United fan for as long as I can remember, thanks Dad! Where I can honestly say I’ve enjoyed experienced the thrills of winning the title in 1992 when I was 13, I can say the heartbreaks of losing at Bolton & Home to Ipswich have made me stronger over the years. These last few weeks have made me think long and hard about what’s going on at Elland Road. I kinda got the whole lets get behind our manager and revolt against the decision to sack him which was handled terribly. However I made a valid point before the win at home to Huddersfield when I questioned if our response had been the same if Brian McDermott wasn’t so nice, transparent and genuine. I waited for the barrage of abuse from fellow Leeds fans but was surprised to hear some support of my comments. You need to bear in mind that this was right after the attempted sacking of Brian and the emotion was raw. I also made my feelings known about getting behind Cellino and his bid to buy our club. Where Sport Capital were failing to get the deal done in time so we could move on, Cellino was desperate to buy the club from GFH. You can’t blame GFH for accepting the bid from Cellino, especially as he wanted a quick transaction. Contracts were duly exchanged and now we wait on the decision from the Football League to see if he meets their criteria. Let’s get a few things straight about Cellino. He wants to buy our club and he wants to buy back Elland Road. He understands the importance of focussing on one club and has put the wheels in motion to sell Cagliari. He has the finances in place to realize the dream of strengthening a playing side that can get promotion. Cellino has numerous contacts and has proven in Europe that Coaches work better than Managers. He may get through them, but he wants success and when parting with £25m then why the hell are we to question him? Basically who cares about his past? These were a long time back and not all Football related. Cagliari have always been financially supported and he has kept them in Serie A. 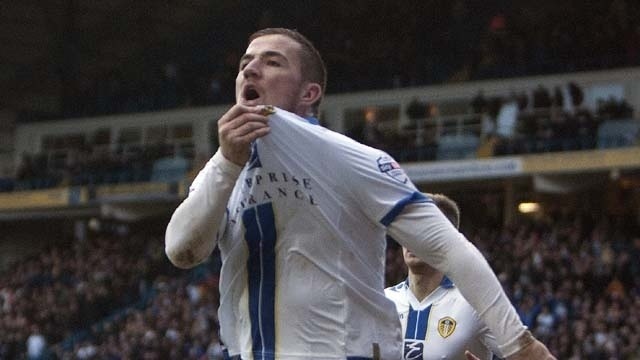 This is exactly what we need and should be craving for, our Leeds United back in the Premiership. The bottom line is to enjoy this possibility then we need to back Cellino. We need to take this opportunity because how many times have we had cash rich prospective owners who never actually materialized. The list is long…..
Let’s say Celli-yes and stop being so stubborn and resistant to the exciting possibility of realizing our dreams. 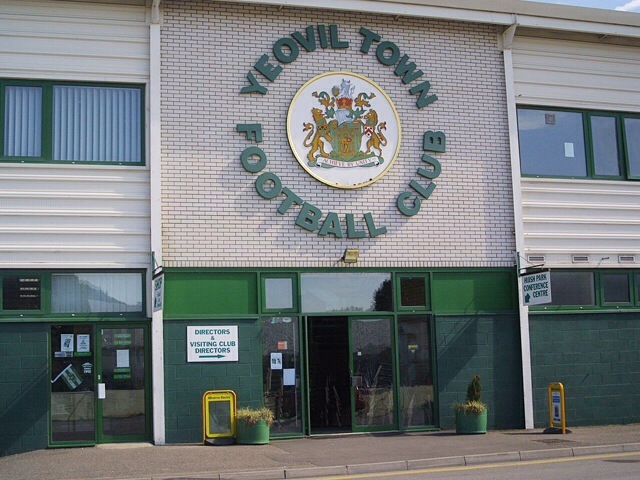 This Saturday I will be making the journey down to Yeovil for our must win game against the leagues bottom side. It is touch or go if the game will go ahead, however from reading the clubs official site, it’s clear they are trying their upmost to get the game played. For Yeovil this is a game live on Sky TV against the best supported team on their travels, because of this it’s financially important for Yeovil to get the game on. 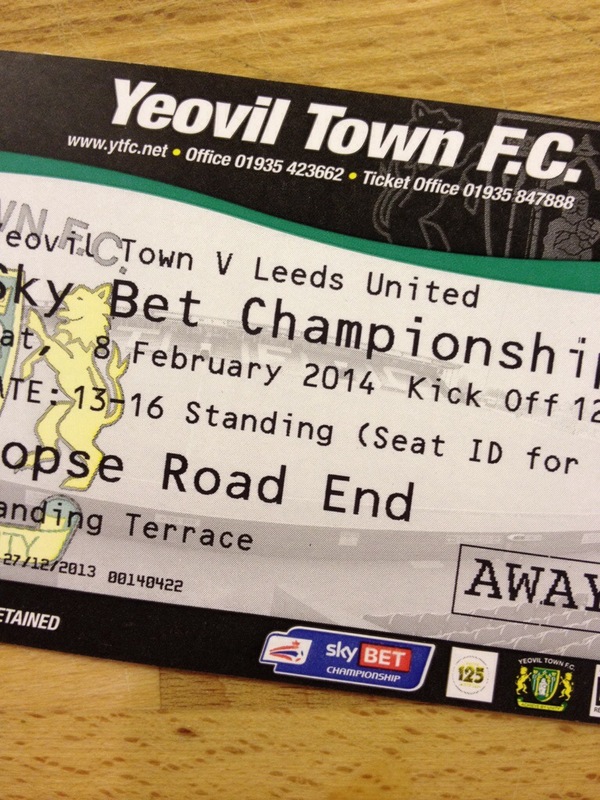 This will be my first away trip to a ground that has terracing. 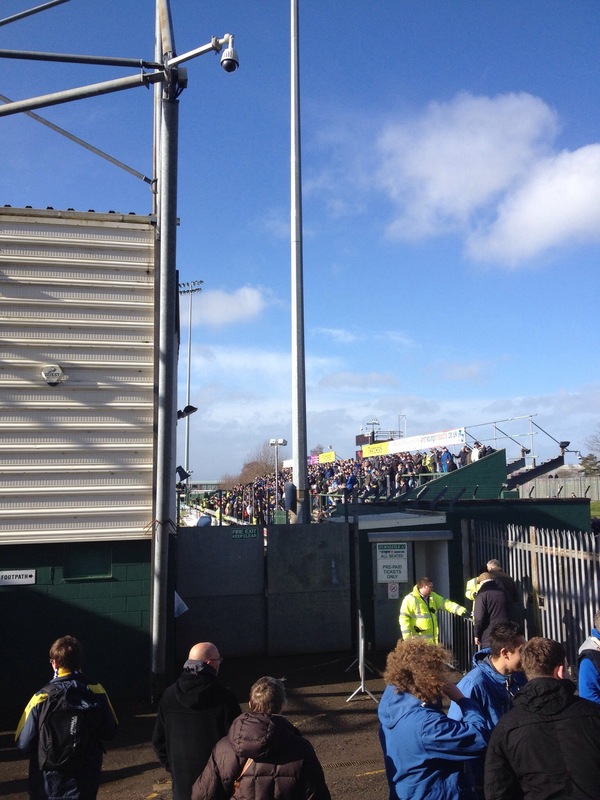 The really unfortunate thing is the terracing for the Away supporters is uncovered. The forecast for the game is not great and it will certainly be one for wearing a waterproof rain jacket and hood! 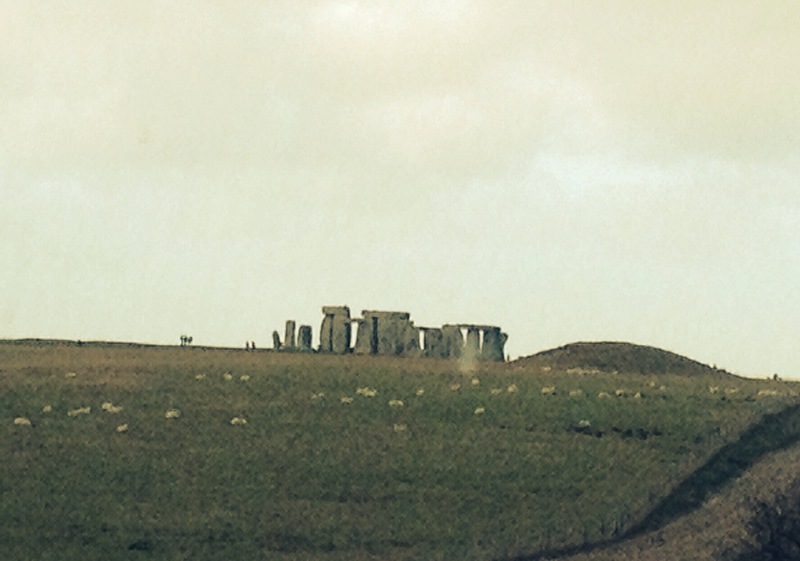 The ticket was only £20 so it’s good value despite the distance. The club are keeping the pitch covered despite the winds best efforts to blow them off. I think the real key will be how long they can keep the pitch covered and dry. The club are keen for Leeds United fans to keep checking via Twitter for updates on the game as they make their way down on the morning of the game. I’m really looking forward to this match, this will be my third Away game of this season after Reading & Charlton Athletic. In other news today Cellino has sensationally announced that he will buy back Elland Road on Thursday. 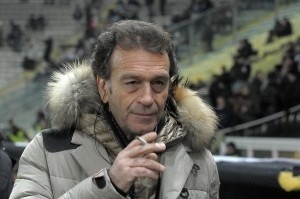 Cellino has also sold Cagliari which confirms he is keen to be fully focused on Leeds United. Surely this news can’t be a bad thing. 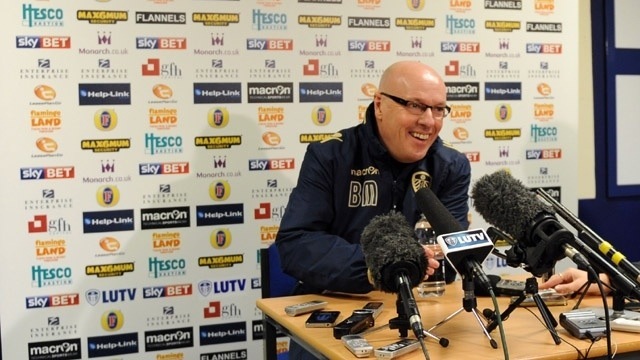 One things for sure I’m looking forward to seeing Brian McDermott back in the dugout, back where he belongs! See you all in Yeovil on Saturday. Tonight we visited our local salt rooms for the first time. 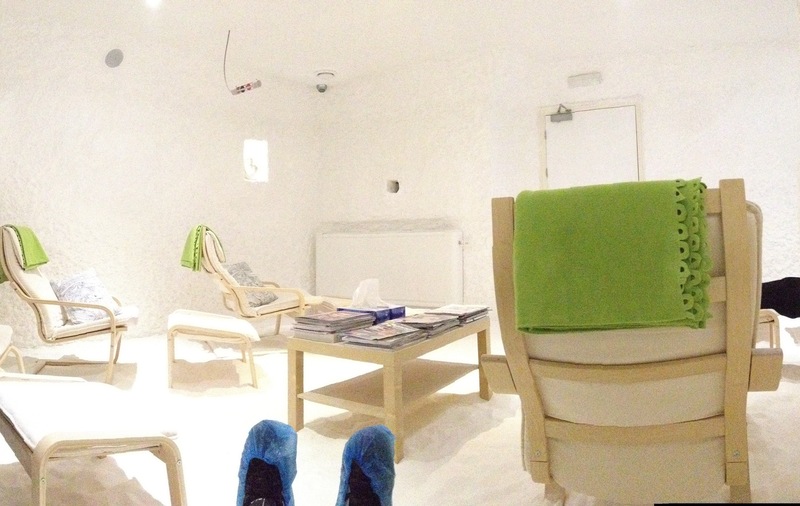 Salt Room Treatments have been featured recently on the news in both the UK and the USA. It involves spending time in a room which is covered in salt. It is hard to describe it in too much detail, but this process has been proven to improve the conditions of people who suffer from Asthma, Respiratory Problems as well as Sinusitis and Coughing. 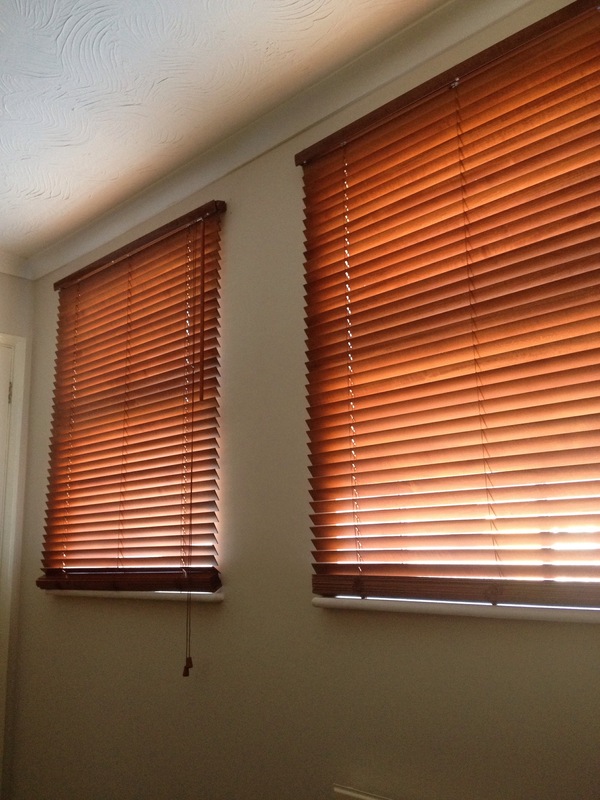 My fiancé discovered a local business in Stony Stratford, Buckinghamshire that offered this treatment. 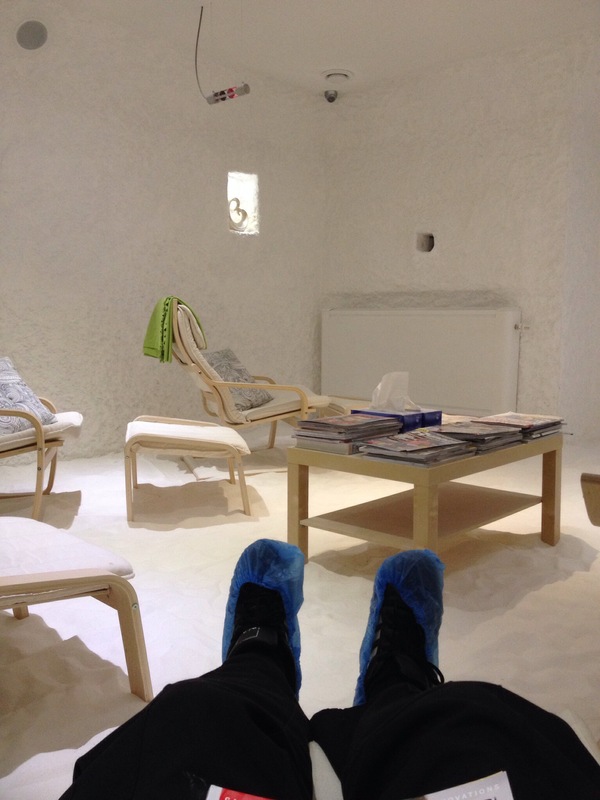 “The Salt Cave” is a very smart, clean and professional business that made us feel extremely welcome. Our appointment was booked for 7pm and after filling in our forms we were given a brief introduction before entering the Salt Room. The room itself is spacious with the floors covered in loose salt which is a bit like walking in snow. The walls are covered in crystallized salt and the room has modern wooden reclined seats with foot stools. Just as our session started the lights dimmed and you could hear calming instruments over the sounds of waves. There were plenty of magazines to read to help incase you couldn’t sleep. 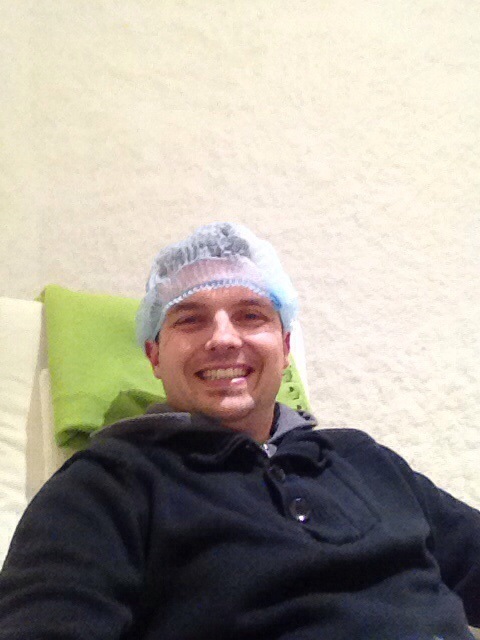 We got to wear some trainer covers and a hair cover to prevent our hair from malting onto the salt. We were warned of initial reactions to the salt room but I found it quite easy to adjust to the dry air being filtered into the room. The salt air really helped my breathing and I found it easier to take deep breaths through my nose without coughing. The hour went very quickly and it was a shock when the lights came back on to full brightness at the end of our session. It is said to take around 3-4 sessions before you notice a more permanent difference, however the effects of this session will stay in our lungs for a good few days. We have booked our next session on Monday to top up our first session. For those of you interested it costs £35 per hour session and their are discounts for block purchases. It was a truly unique experience and one I’m keen to try again as I really want to see an improvement. Monday morning saw the stunning return to Thorp Arch for our Manager Brian McDermott. 72 hours previous our gaffer was called to be told he was no longer required, under who’s instruction it is still unknown. Today was also the day that David Haigh and Salem Patel made it clear to the Leeds United faithful that they are still in charge, for the time being at the very least. The man who called McDermott on Friday night to dismiss him was led away from Elland Road by Haigh & Patel. This guy is called Chris Farnell and on a sensational day in Leeds he was told to stay away until Cellino officially completes his takeover. As the day moved on into the Afternoon, further stories from Elland Road surfaced regarding GFHc and the bid received by Cellino. It transpires that the legal documents have not yet been exchanged which could open up a takeover by a rival bidder. 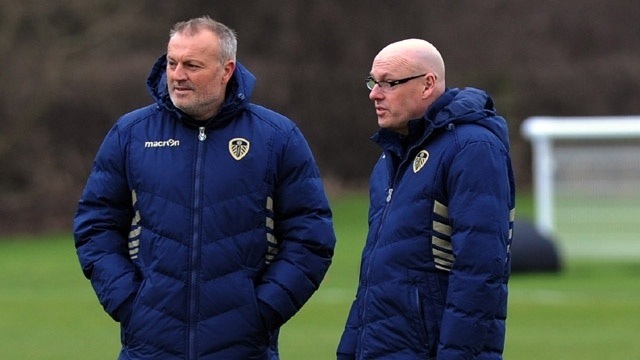 As returning manager Brian McDermott was giving his press conference to the press to talk about the weekends events including the epic 5-1 win over Huddersfield, more twists and turns regarding a rival bid appeared. It has now been revealed that members of Sport Capitals bid involving David Haigh, Terry Riley and Andrew Flower are prepared to join forces with Mike Farnam and his “Together Leeds” crew to negotiate a joint bid which would be seen as the preferred choice for Leeds United supporters. Obviously Cellino will still have to pass the Football Leagues fit and proper test but with his checkered past well documented it would be unlikely that he meets this criteria. With all that’s happened these last few days, it’s safe to say there will be many eyes watching out for this decision. So let’s all rejoice. It’s the first time in my 25 years of following Leeds that I have seen a manager of ours not win a game for 8 matches. On top of this we suffered a 6-0 defeat to our local rivals and were beaten convincingly by a League 2 side. Despite all of this, in force we were dismayed and I personally think the strong reaction and disgust shown by the supporters shocked these people who made the decision to sack Brian. In a nutshell, Brian you are regarded in the highest level at Elland Road, it is because of this your integrity has remained intact and you’ve returned to our club. Just like in an episode of 24 hours in A&E it has been absolutely mental crazy at Elland Road. I know Monty Python have reformed this year, maybe just maybe they wrote the script for what has happened at Leeds United in these 24 hours. I have felt every single emotion known and a few extra ones as well. This has been an absolutely crazy day! So last night it was reported that Brian McDermott had been sacked by new owner Cellino. He announced that he wanted a coach and not a manager and because of this it was why the decision was made. I was in shock and twitter went into melt down. The Sky Sports transfer deadline day show piece suddenly turned into a who could sell Ross McCormack show, similar to Bid Up TV. Simon Jordan who is quite simply a tool tried his best to belittle McCormack whilst trying to encourage teams to bid for Ross. If rumours are to be believed a £6m bid from Cardiff was rejected once the reports of McDermotts sacking had been made public. Heading into the last minutes of transfer deadline night we were all frantically refreshing twitter and willing the clock to count down faster until our Captain put all our minds and fears to rest. The tweet above confirmed he was staying and that we all needed to Unite ahead of tomorrow’s local derby with Huddersfield. A few comedy photos at ER saw some fans blockading Cellino in the ground and the local police had to be called in to assist! Why oh why were there not any cameras from Sky available at this hilarious moment. I woke up hoping it had all been a nasty dream, it became apparent very quickly that it wasn’t. The hours today leading up to the game were not very informative. There had still not been an official announcement on the clubs web site regarding McDermott or anything that had happened last night. The only story was the signing of a new midfielder from Cagliari who was listed immediately on the clubs web page. There was still somebody working that site, despite many thinking it had been left to rot. 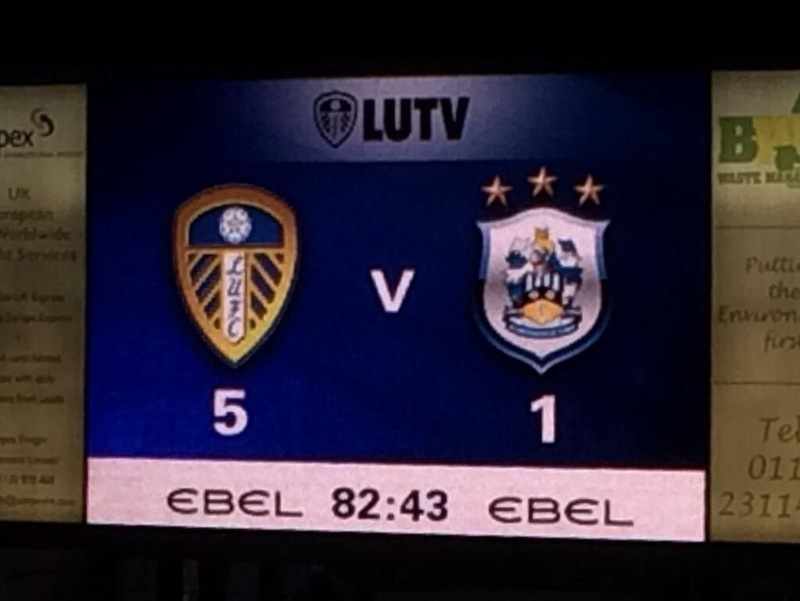 What then happened at Elland Road was simply the story of fairytales, it was out of this world. Gibbs & Redfearn were put in charge of team affairs and the side out out was one not too dissimilar to our departing boss. 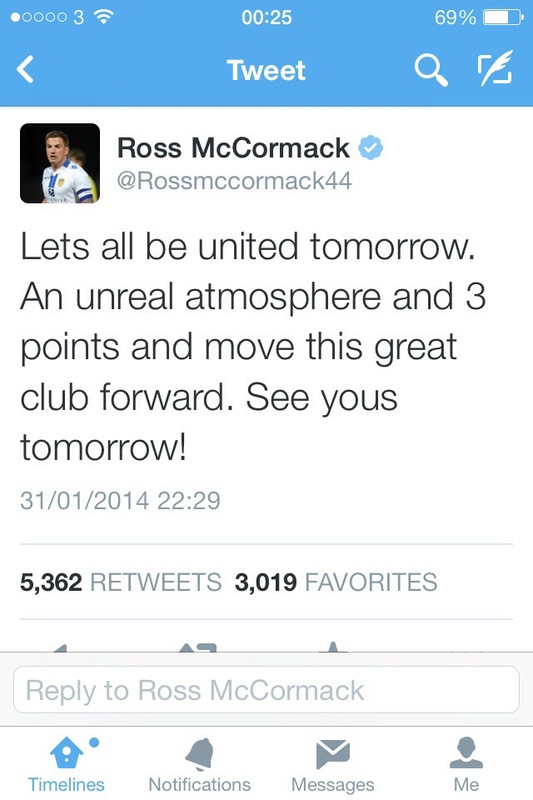 The only worry was putting McCormack up front on his own. Huddersfield deservedly took a 1-0 lead after half an hour as Leeds looked ragged and were clearly feeling sorry for themselves. Then stepped up our Captain who took matters into his own hands. Right on half time he scored to level the match. 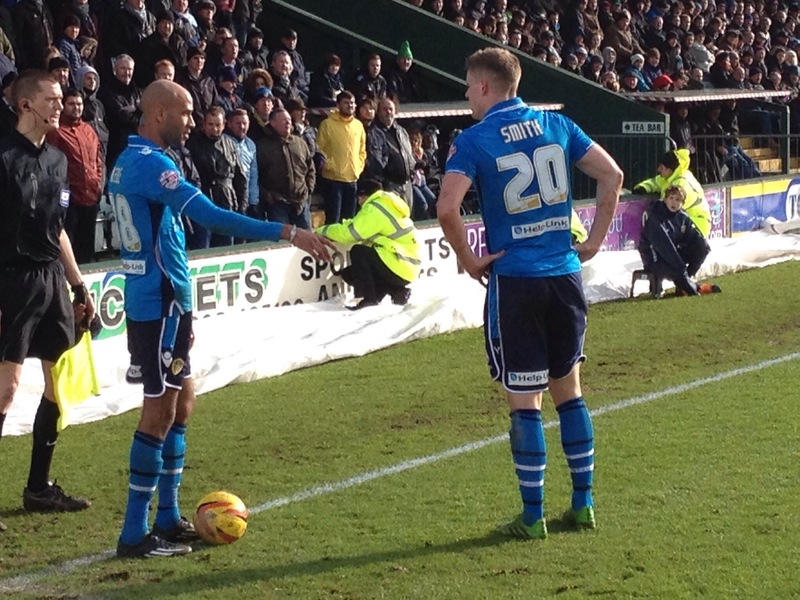 Unknown to many McDermott spoke to the team at half time and his talk galvanized the side. Kebe scored his first for the club to put Leeds 2-1 up before a Ross McCormack double secured his second Hat-Trick of the season and gave us a 4-1 lead. Young Mowatt scored his first senior goal as Leeds ran out 5-1 winners. The result was bizarre but the most bizarre news was still to follow. 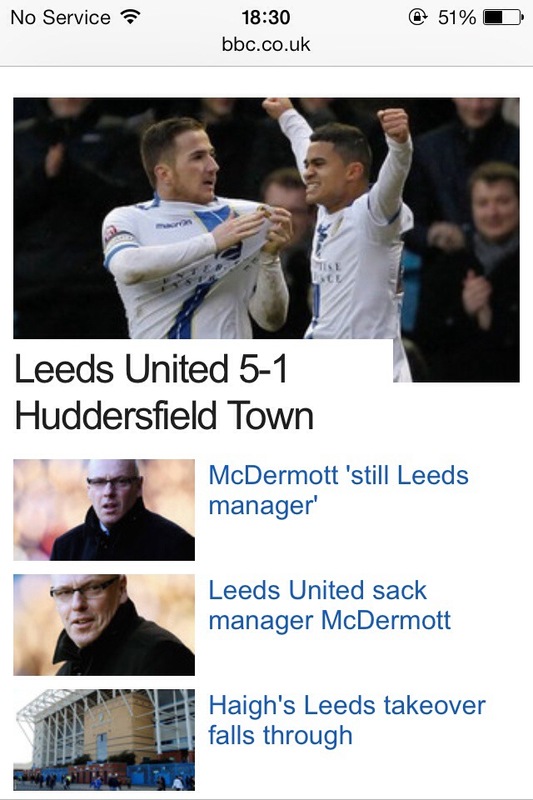 Brian McDermott was still Leeds United’s Manager. It was officially announced on the clubs web page that he was still in control of the First Team and would be involved in ensuring Leeds United moved forwards. As Phil Hay tweeted, you couldn’t make this up! Leeds United just don’t make things simple, it’s no wonder us fans are slightly crazy! So in a nutshell as we head into Saturday night, we won 5-1, McDermott is still our boss, we have a rich Italian owner and Ross is very much our Captain after netting his 20th, 21st & 22nd League goals of the season!